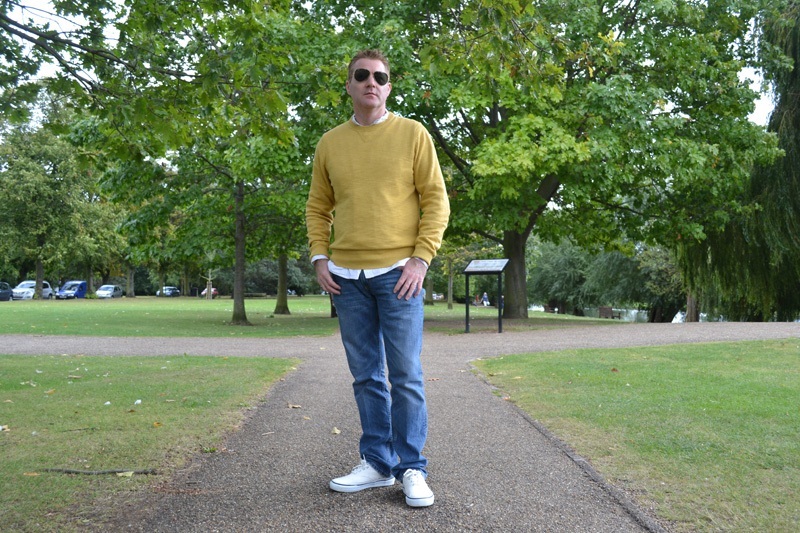 Our few days in the English countryside allowed us time to wander around downtown Bedford. We took a stroll by the Great Ouse River, walked along its banks and parks, watched the swans and mellowed in the serenity and peacefulness of this quaint English town. 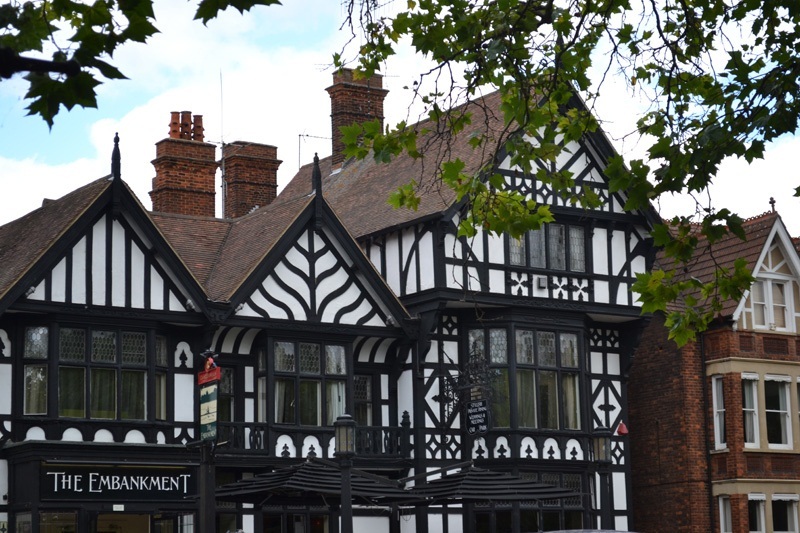 Much of the buildings in the town centre are reminiscent of the Tudor style of Architecture and are a marvel to look at. There is so much history and style in England― an eclectic mix of old and new. 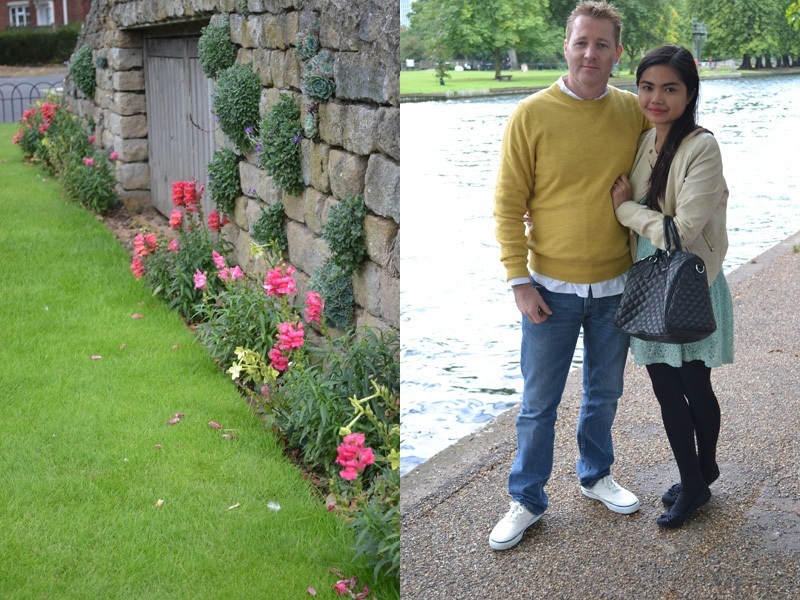 With the hubby on the river bank, where you can find pockets of manicured lawns and gardens. The area is very pretty and a perfect place for a romantic stroll. Together with one of the majestic swans we saw on the river. The beautiful scenery is the perfect backdrop for taking wonderful pictures. 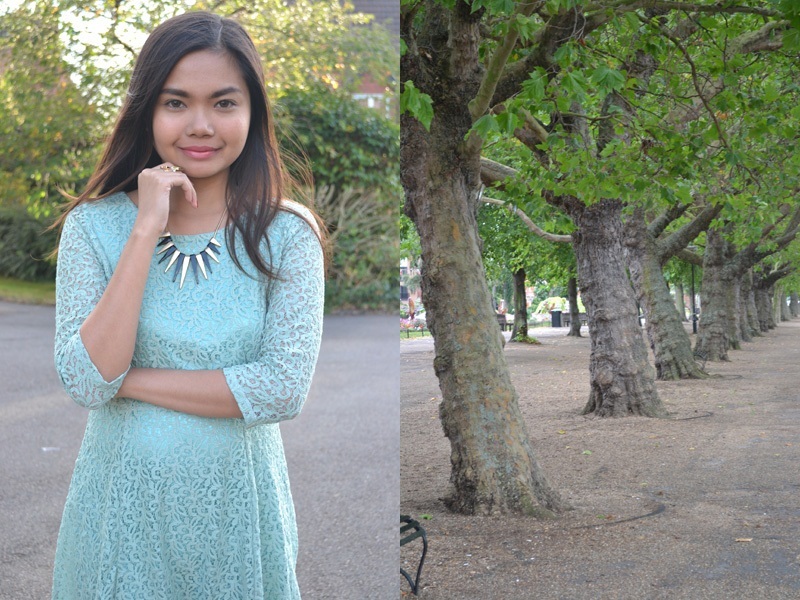 I wore this lovely dress that I got from SM GTW. I have been looking for peppermint pieces for a while now and I'm so pleased I finally found one in this pretty design and fabric. Lace dresses are so sweet and dainty so I knew I needed this in my closet. I'm loving the sleeveless version of this dress as well. 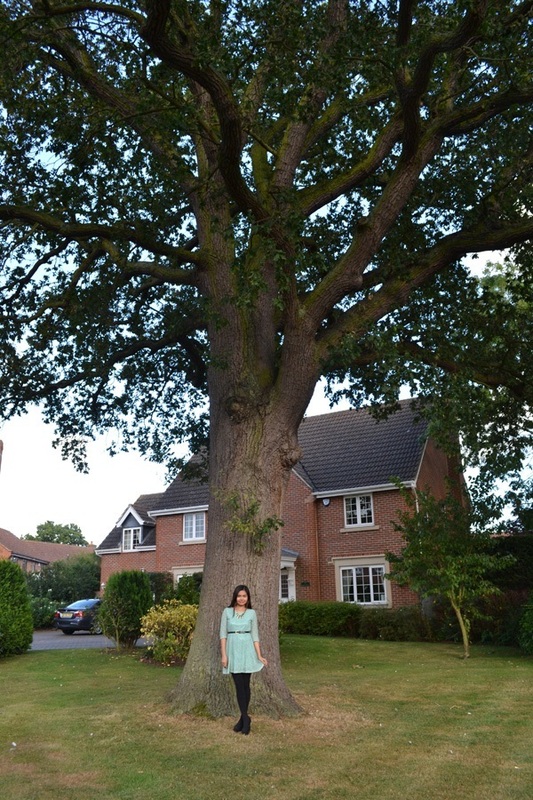 I look so tiny underneath the shade of this Oak tree at home! Despite the fine weather we were enjoying, it was still a bit chilly so I wore opaque tights (similar here) to keep warm. I also accessorized in black and gold to make the look more cohesive. I'm wearing a slim belt and a YSL-inspired Arty ring from The Bling Project. I redeemed my chic points to get this spiked collar necklace from Chictopia. Looking great, Alexa! Thanks for featuring The Bling Project!